The Travelite FAQ – Page 2 – Travelite.org, your source for travel packing tips. Keep calm and carry on! The Wall Street Journal has just published an article called “Sly Ways to Beat Delayed Flights” to deal with flight delays and cancellations, particularly in light of all of the issues American Airlines is currently facing. Joining the airline’s airport lounge clubs to get access to the front-line reps at the club’s counter. Traveling lightly is generally a good rule to go by, but when you’re using an airline that is known for delays or flight cancellations, it makes particularly sense to be on your feet and have all your things with you. Perhaps I’m fortunate in that I was born in Japan, and was raised there as a child. I attended both an international school (that was British-based) as well as an American school while there, which exposed me to different peoples and cultures very early on in my life. The concept of travel, or of people from different faraway lands, was neither a fearful nor strange concept for me, and I have carried that love of travel and trying things from different cultures into my adulthood. Although my overseas travel is relatively limited compared to the adventurous globetrotter (specifically because of reason #3 and my inability to take copious amounts of vacation time off), the thought of traveling overseas always makes me feel excited. But I can see how the idea of traveling someplace completely foreign—with strange customs, an incomprehensible language, and weird dishes—could render some people to be very anxious in an unpleasant way. Think of the experience of riding a roller coaster: The physical ride itself may be identical for two people, but for one person, the adrenaline is exciting and fun, a chance to let the inner kid out for some real joy. This same ride could fill a second person also with adrenaline, but of the type associated with dread, disorientation, and nausea. You don’t have to worry about lost or stolen luggage – when you travel light, you’re exposing less of yourself to vulnerability, and having others take advantage of you. You aren’t encumbered by a lot of unnecessary weight from your luggage – this is symbolic of a travel philosophy that says you don’t have to explore the world with the weight of your life on your shoulders. If you travel with a lot of preconceived notions about other people or cultures, you’re less likely to learn from them, and more likely to apply the weight of your own assumptions on your host country and its people. Perhaps this is one factor that gave rise to the “ugly American” label. You’re much more independent by not having to rely on others to help you carry/hold/move your luggage – when you read about the independent traveler, it’s not just the person who ventures off to forge their own path; it’s also the person who doesn’t need a lot of other people carrying their load for them. If you expect other people at your travel destination to know what you want because you’re “the American” and you think they should cater to your whims, that probably would not make you a good independent traveler. You don’t have to pay as much money to check in your luggage – putting the recession we’re slowly digging ourselves out of aside, travelers who spend their travel dollars tipping other people to hold onto their luggage could make better use of their money by using it to try new dishes or experiencing something new. You are free to change your plans on the fly without worrying about where your luggage will wind up – another benefit of an independent traveler is the ability to quickly change plans; something that’s much harder to do when your luggage is already checked into a flight, or you can’t easily change lodging from the big chain hotel to the local family-owned inn in the village. So maybe we don’t need to limit ourselves to the “fourth version” of our house when we travel overseas, but he makes some great points. I don’t think you need the second version of your house to travel. Think about it; your carrying that much stuff is basically you carrying a smaller version of your house. You really don’t need to be encumbered and weighed down. In fact, version 3 may be the best combination of “stuff” and mobility—maybe then, you can still be comfortable with what “stuff” you bring, but can be free from carrying the weight of your world when you travel. Traveling light doesn’t just mean taking less luggage. It means being unencumbered, being open to exploration and adventure. So what if they don’t speak English? You can get by with just a couple of phrases just to break the ice (“hello,” “thank you” and “bathroom” are helpful), then you can get by with a lot of hand gestures and smiles. Don’t be afraid! American luggage manufacturer Tom Bihn, has introduced a new line of Dyneema nylon products this summer called Travel Stuff Sacks. If you’ve used to their Packing Cube organizers, you’re in for a change of pace. These Travel Stuff Sacks are designed to cram stuff into, instead of carefully folding or rolling clothing in. The sacks don’t use any zippers, but instead use a pull cord that cinches them shut at the opening. My biggest surprise was how small these actually are. You can really cram your clothes in there, but if you’re used to really big stuff sacks, these will feel much, much smaller. Tom Bihn has introduced a new line of stuff sacks in four different sizes. Photo by Lani Teshima. In fact, if you might think these are just a variation on their Yarn Stuff Sacks, you’re right! 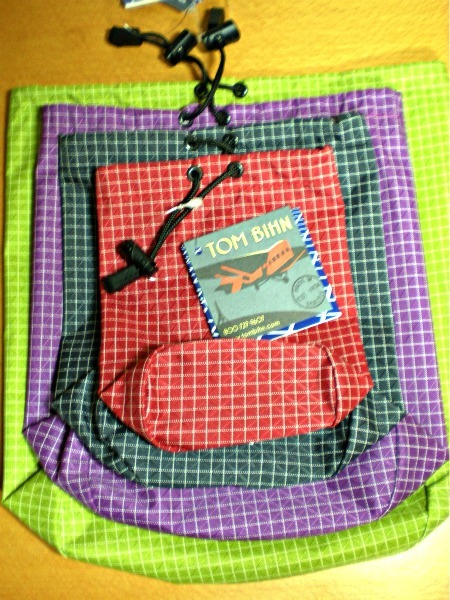 So what does Tom Bihn say is different between the Yarn Stuff Sacks and these new Travel Stuff Sacks? The difference is actually pretty subtle, but it makes a difference when you’re packing these in your main luggage. Unlike the Yarn Stuff Sacks, its Travel cousin has an oval (or oblong) bottom, which allows it to lie flatter. On the left is a Travel Stuff Sack size 3, next to a large Yarn Stuff Sack. 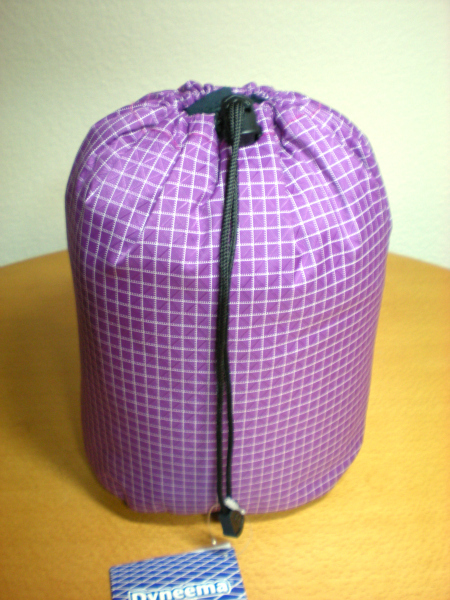 Note that the Travel Stuff Sack has an oblong bottom compared to the fully round bottom of the Yarn Stuff Sack. Photo by Lani Teshima. You can really see the difference between the way the Travel and Yarn Stuff Sacks look when filled. 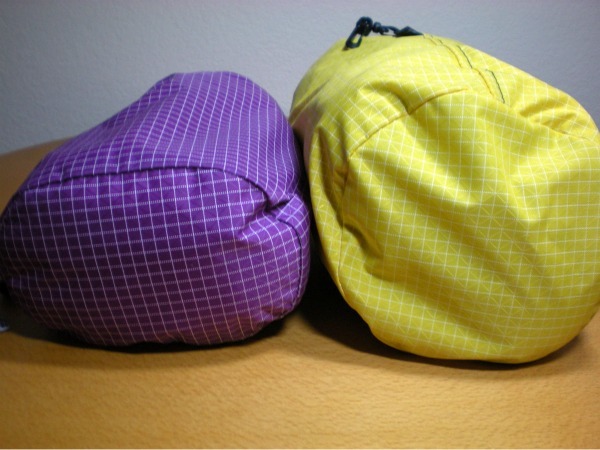 The Travel Stuff Sack lays much flatter, making it easier to pack in your carry-on. Photo by Lani Teshima. Some people might think that introducing a whole new line of stuff sacks with a slightly differently shaped bottom is silly, but I think it’s an example of the manufacturer improving on an existing design—and choosing to continue to sell the original design. The Yarn Stuff Sack is great for what it was designed for (holding skeins of yarn). Living in Northern California, I actually don’t own any down clothing. I do, however, have a packble fleece jacket, which I was able to pack into the size 3 sack. 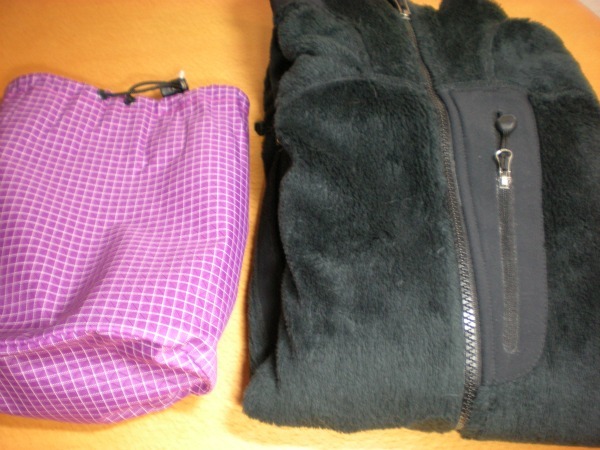 I was able to successfully pack my black packable fleece jacket into the size 3 Travel Stuff Sack. Photo by Lani Teshima. Once packed with my fleece jacket, the size 3 Travel Stuff Sack turned into a puffy pillow. Photo by Lani Teshima. I found that I needed to fold my jacket and roll it a bit, and even then, I still wound up with part of the jacket still sticking out of the top of the sack. However, these aren’t called stuff sacks for no reason; at this point, I was able to start smooshing and cramming the rest of the jacket in, and the jacket fit really nicely. I then pulled up the cord and cinched it shut—and to my delight, I discovered I’d created myself a great little travel pillow. In order to get a better sense of the various sizes, I thought I’d take some snapshots with them next to some familiar items. Size 1 of the Travel Stuff Sack is actually quiet petite. Photo by Lani Teshima. Size 1 of the Travel Stuff Sack isn’t much taller than a can of beans. Photo by Lani Teshima. Size 1 of the Travel Stuff Sack is actually quite small. In fact, I was really surprised when I first got to see it in person. It’s not much wider than an iPhone, and it’s not much taller than a can of beans. I don’t know what kind of down vest the Tom Bihn folks wear in Seattle, but maybe it’s a really small one for kids—I can’t see using this for anything more than a couple of pairs of socks. That said, this particular stuff sack would make a great little pouch for holding makeup or some accessories like earphones, spare batteries, flashlight, and USB cords. 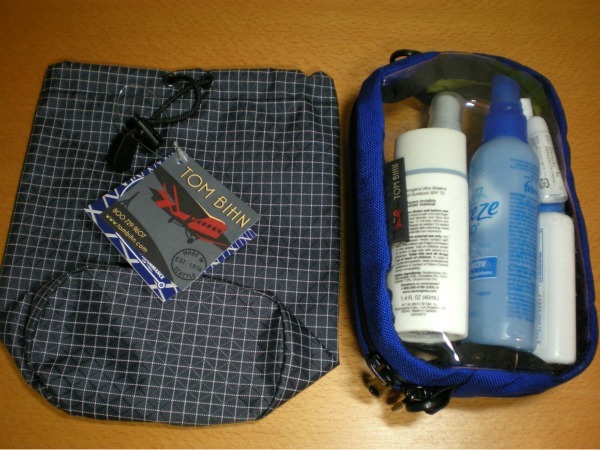 Size 2 of the Travel Stuff Sack is close in size to their 3D Clear Organizer Cube. Photo by Lani Teshima. 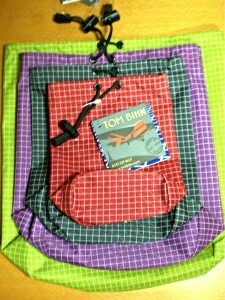 Size 2 is a little bigger, and will actually be able to fit a Tom Bihn 3D Clear Organizer Cube right into the sack. 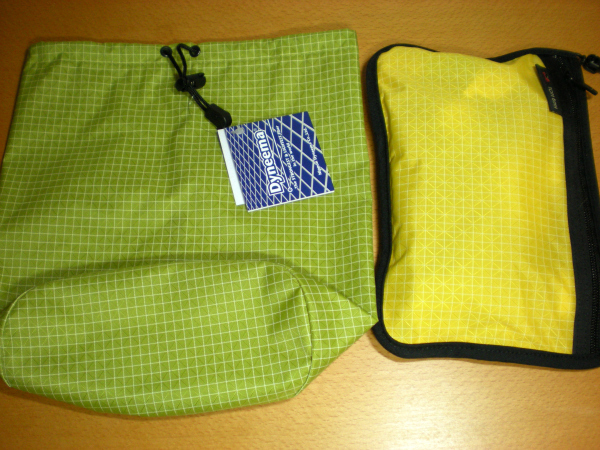 Size 4, the largest of of the Travel Stuff Sacks, can easily hold a couple of medium organizer pouches. Photo by Lani Teshima. Size 4 is relatively roomy. 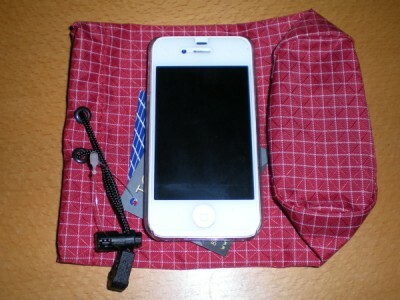 It can easily hold a good handful of medium Organizer Pouches, not to mention everything else from the other three sizes. 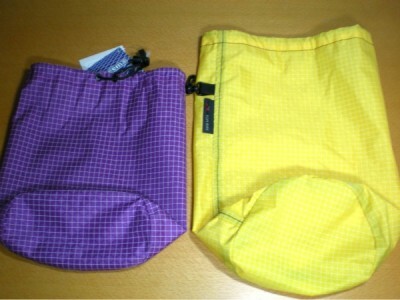 I’ve had a chance to use the four sizes of these Travel Stuff Sacks. I find myself using size 3 regularly to stuff my gym clothes in, and size 1 as my make-up kit. Next time I have a chance to travel, I’ll give these Travel Stuff Sacks a try instead of using my regular packing cubes and see how it works. They are available in steel (grey), Iberian (red), ultraviolet, and their newest color, wasabi (light green). As with all of their other products, these are made in the USA. Order them from their website. While most of us will enjoy the Fourth of July holiday by having an outdoor BBQ or watching a fireworks show, let’s not forget the men and women in uniform who keep us safe. And just in time for this patriotic holiday comes an announcement from U.S. bag manufacturer Tom Bihn: All shipments going to overseas military personnel at APO addresses get their shipping fees waived. How cool is that? And as an extra treat, if you are a member of the military, Tom Bihn will swap out your regular Brain Bag for one of the camouflage versions for free! 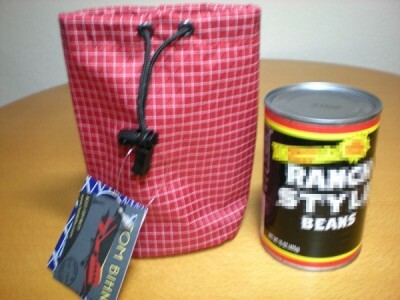 Military personnel can request to have their regular color Brain Bag swapped out with Tom Bihn's camouflage version. Image courtesy of TomBihn.com. When you pack light, you leave unnecessary items at home. There may however, be an item you just don’t want to do without. For me, that is a Japanese Salux scrub cloth (available here and through Amazon). I find that it’s the best scrub cloth in the entire universe, and it’s practically indestructible. Fortunately, Salux scrub clothes take up almost no space, and dry really quickly. I was curious if other people had any special item they still travel with, so I posed the question at the forums at Tom Bihn’s website. People seemed to take some very interesting things close to their heart. Autolycus travels with a small Travelocity roaming gnome, which was given as a gift from a co-worker. TavaPeak travels with a small paper journal. AVService travels with a tiny but full-featured amateur radio transceiver that provides AM/FM/weather, as well as VHF, UHF, aircraft, marine, shortwave, railroad, and public safety broadcasts, as well as transmit. JLE likes to travel with tiny travel candles to mask the odor of hotel rooms, a Bluetooth speaker for her iPad, and very small hair-straightening irons. Most unusual, however, is her squeezy tube of Vegemite. Snowbot likes to travel with a small nightlight. WhiteStar likes to travel with three to six dogs (probably not packed in the carry-on, though). Badger has two stuffed Uglydog dolls that travel with her everywhere. As a chiropractor, Chiro75 carries a lot of odd chiropractic instruments that cause the TSA a lot of consternation. Frank II from One Bag, One World likes to take a telescoping backscratcher. KmK likes to travel with a very small owl figuring that allows her to feel at home wherever she goes. Moriond likes to travel with some emergency food in the form of Lärabars. BChaplin likes to take instant coffee in the form of Starbucks VIA packs, an insulated Thermos, and a 220-volt instant water healer to avoid any caffeine withdrawal. Dorayme, always takes her knitting or crotcheting things with her, but when traveling by car, takes her spinning bike! When traveling by car, Darbs always packs some Diet Coke. Eire takes a small shortwave radio. Tzporah takes a headlamp and earplugs. Is there anything special you like to take with you on your travels?